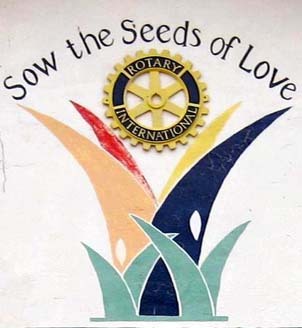 Our donors and many of our visiting Rotary clubs helped raise $46,000 for scholarships in 2009. This means we were able to replenish our 6 month operating reserves fund and continue the support of 33 students. Even with a suffering economy, our supporters delivered on our commitment to all of our students. It is good news that many students started with us when they were in secondary school and are now heading on to Universities. Tuition and living expenses will continue to be higher in 2010 as the number of college students increases. As you can see in the 2010 budget, our 2010 fund raising challenge is $48,000. Here are some Financial Highlights from our Treasurer, Karla Lawler. All Cambiando Vidas activities are funded by donations from generous individual donors and groups like Rotary and Rotary International. Cambiando Vidas does not receive government funds or foundation grants. Donations are deposited into our checking accounts in the United States or Mexico and the board of directors approves all disbursements of funds. Recently, we were able to establish a six-month operating expense reserve fund in the amount of $24,000. The majority of our donations are used to fund student scholarships and the operate the Learning Center. Occasionally, the organization receives funds for specific needs. For example, in 2009 we received a $5,000 donation to be dedicated to the English Language Program, $2,600 for a new recycling depot and $13,519 from friends and family in memory of Ana Getzoff, a founding CV board member. Below are the 08-09 Financial Highlights and Projections for 2010. If you need additional information or have questions, please feel free to contact our Treasurer, Karla Lawler, at k_lawler@yahoo.com or 406-668-0001.